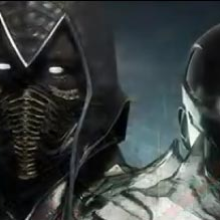 During NetherRealm Studios' Mortal Kombat 11 panel at Chicago Comic & Entertainment Expo, the company revealed No Saibot as a playable character. A gameplay trailer was shown during the panel that brought us our first look at what the character can do. As expected, Noob fights using his shadow double. This return character uses a scythe-style weapon in combat, and features several classic moves fans will easily recognize. Noob has special moves including his slide, where his double moves move towards the opponent and hits low, as well as his teleport uppercut. The trailer also gave us a look at Noob Saibot's Fatal Blow and one of his fatalities. Each one incorporates his shadow double working alongside him to inflict maximum pain. 993). Like Shang Tsung, Noob has been on a playable Mortal Kombat roster since Mortal Kombat 9 (2011). Mother number Kombat 11 is coming to PlayStation 4, Xbox One, PC, and Nintendo Switch on April 23.